When an unassuming man decides to hike every trail in Enfield, he simply drives to the few trailheads in town and goes about his little communes with nature. He may take his son with him. No big deal. There are no mountains in Enfield. 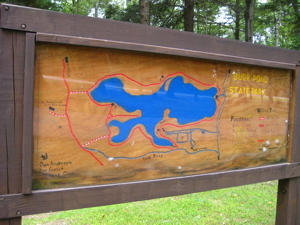 There are no long trails in Enfield. There’s really not much to hike in Enfield. 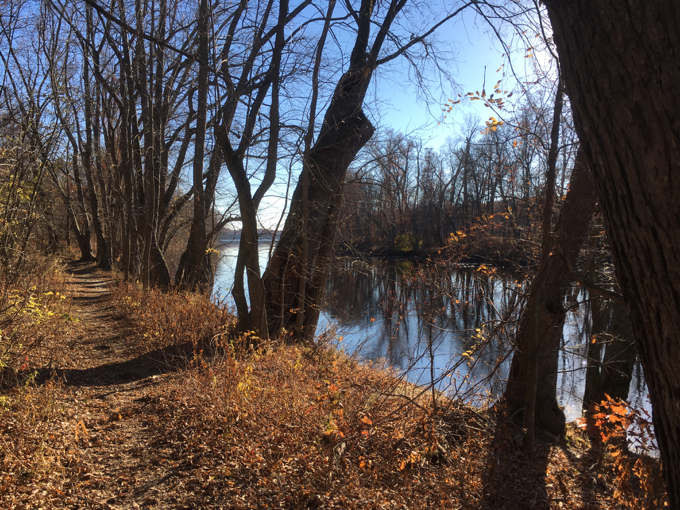 One trail is a short out-and-back along the Connecticut River at a newly dedicated park at the town’s boat launch. Again, no big deal. I pulled into the boat launch lot and marveled at just how terrible it is. It’s almost like a bunch of land mines exploded here, which would be a horrible way to honor the park’s namesake. 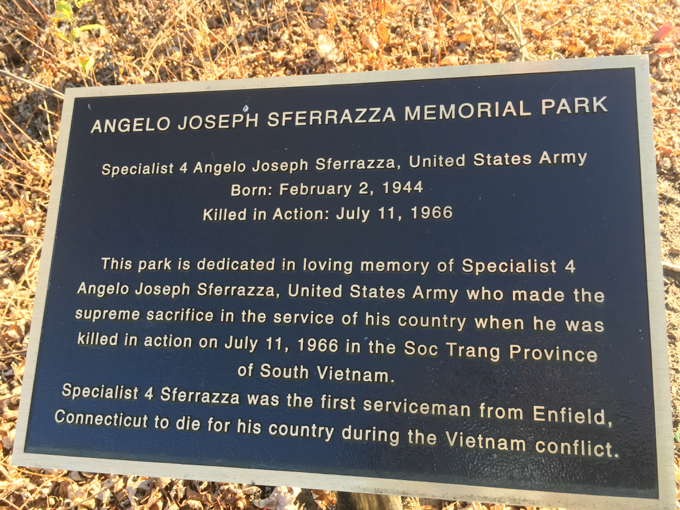 The 16 acres of riverside woodland was named the Angelo Joseph Sferrazza Memorial Park, in memory of Enfield’s first casualty of the Vietnam War. Army Specialist 4 Sferrazza, a 1962 Enfield High School graduate, was killed in action in the Soc Trang Province of South Vietnam on July 11, 1966. He was 22 years old, and was the first of four Enfield men who would die in the conflict in southeast Asia. 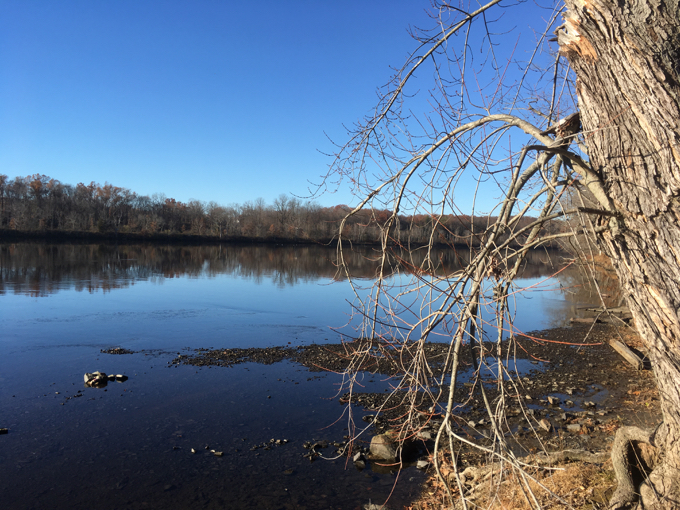 One month after his death, in Aug. 1966, the Enfield Town Council adopted a resolution to lease, for a dollar a year, a 16-acre parcel of land owned by the Windsor Locks Canal Company, “for the purpose of a town recreation area. After parking, I remarked to myself that it was strange there were so many cars in the lot on a chilly November day. No way these were boaters. “How heartening that so many people are hiking this fairly unexciting stretch of flat trail!” I thought to myself. After exiting my car, I noticed that there were several men just milling about. “How lovely that so many middle-aged and older men are enjoying this sunny afternoon along the mighty Connecticut!” I thought to myself. I walked down the trail and noticed a few more middle-aged and older men just sort of hanging out. “Oh, so many nature loves out and about in the woods today!” I thought to myself. “And they all seem quite interested in me and what I’m doing! Though I do so wish they’d stop staring, for it is rude,” I thought to myself. I’m all for dudes loving dudes. I don’t even care if dudes choose to anonymously love dudes for 10 minutes at a time. But dudes, come on. There has to be better places. And no, not directly across the river in Windsor Locks where a few of you dudes loving dudes in the woods got busted a while back. When I come back here to kayak over to King’s Island next spring and I’m wearing my Speedo, just know I love my wife very much. Peace.